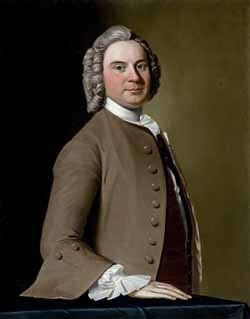 By his good nature, John Rowe was always in the middle of the political, social and economic forces that exploded in the American Revolution. The British, upon invading Boston had him on a short list to hang. The Sons of Liberty boarded his tea ship on December 16, 1773, and tossed the tea. He served on every imaginable civic committee in Boston. Additionally, he continually dined with loyalist, soldiers of the Crown, Sons of Liberty and the Powdered Wig Society of Boston. As part of his civic duty he attended many more funerals than he had friends. John managed a very busy warehouse and importation business. Simultaneously, he stored the British Navy’s essential products required on every ocean voyage. His diary documents over 2,439 days of his life. In his very busy social life he had many days available for fishing throughout Eastern Massachusetts. His recorded success fishing listed below, may amaze you. Winnecunnet Pond, Norton Mass, and John Boylston “caught 26 dozen pond perch.”. Other notable locations were the Dedham Causeway, Flax Pond Lynn, the Charles River in Dedham, Menotomy Pond, Spot Pond, Cambridge, Jamaica Pond, Mosepepong, Sharon, Great Worster Pond, Shrewsbury, The Worster Bridge, a pond at the end of Malden, Hingham, Taunton, Duxbury, Pembroke and Plymouth. John recorded pickerel two feet long: one over four pounds and perch eighteen inches long. It is a bit of a stretch, but a full-service inn always seemed to be near each fishing hole to dress and serve the fish to his mates and many local guests. Though his wharf was on the Harbor, he disdained salt-water fishing. John’s diary does not elaborate on his preference for freshwater fish. There probably is not an angler in the world today that could compete with his success and perhaps many that would not believe him. Yet, his diary entries, on all other subjects seem balanced and accurate including those that address the coming revolution. John Rowe’s diary is a fascinating tour through society at a critical time in Boston’s history. Continue with John Rowe: The most gentle man in the middle of a revolution.